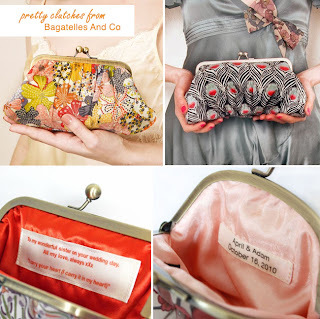 I love this idea from greenweddingshoes - put a message on a tag inside the bride's clutch. So lovely! 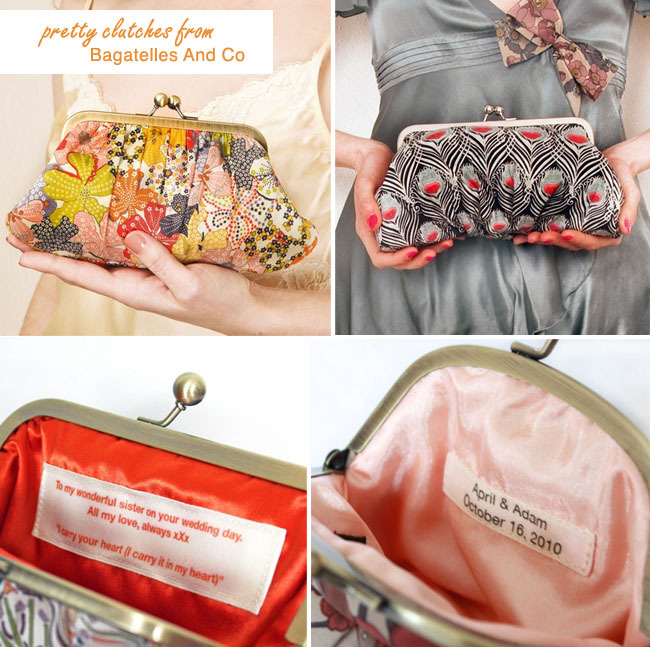 Bagatelles & Co can be found here.